I just finished adding this beautiful "Shower of Roses" apron to our list of available aprons! It would make a lovely gift for anyone in your life who has a special devotion to St. Therese. 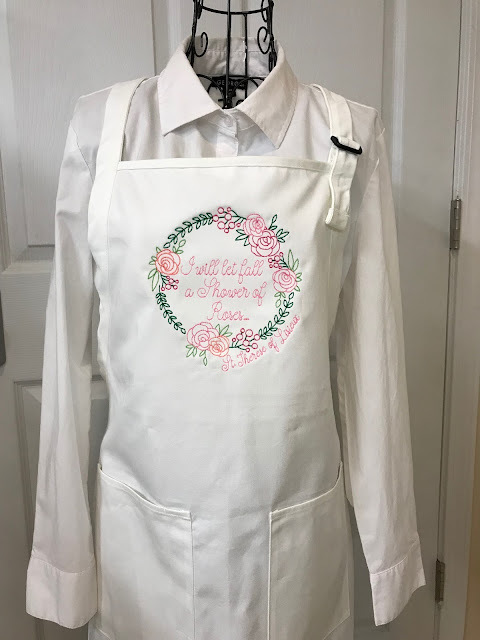 I would love to add it to my own apron collection! Check out all of our available aprons here!